We work with a few different organizations and institutions to create a better learning experience for our students and families. While Holland Christian Schools and Zeeland Christian Schools are separate school systems, we share a strong passion for Christian education. We both believe in planting our kids in a firm foundation of faith while challenging them academically. From a practical standpoint, we also get the benefit of shared resources. A great example of this in the area of technology. Holland Christian Schools has been a generous supporter of technology at Zeeland Christian Schools. They helped us get our one-to-one laptop program off the ground. From a high level perspective, HCS and ZCS work together at the school board level, at the administration level, at the curriculum level and at the teaching level. We are committed to a strong relationship with Holland Christian Schools moving forward. To find out more information about Holland Christian High School, visit their website at www.hollandchristian.org. 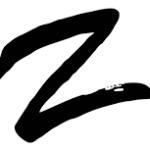 We are grateful for our relationship with Zeeland Public Schools. We believe strong public schools are incredibly important for a community. Plus, their shared resources make a huge difference in the lives of Zeeland Christian School kids every day. Things like bussing, hot lunch, specialized educational support, etc. are possible because Zeeland Public Schools works with us to provide those resources. The Christian Learning Center (CLC) is a nonprofit organization that helps promote the development of people with a variety of abilities and disabilities by providing education and support services to schools, churches, and homes. We have CLC staff at Zeeland Christian. These loving teachers are integral in putting together the individual strategies needed to help each child develop. add.a.lingua helps schools promote and expand language immersion education. add.a.lingua was started by the same educators who brought Spanish immersion to Zeeland Christian School. Now, as a partner organization, add.a.lingua provides direction, leadership, support, and resources for our PreK-5th-grade Spanish immersion program and our K-5th Mandarin immersion program. 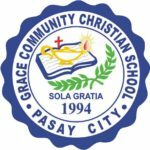 Grace Community Christian School (GCCS) is a Christian School in the Philippines that was founded in 1994. While it started out as an elementary school it has grown and now has students from Kindergarten through Ninth Grade with plans to add a grade until high school completion. The relationship between Zeeland Christian School and Grace Community Christian School began in 1999 when then-principal Bill Van Dyk was urged to visit by Gordon Ellens who had been spending time helping to plant new schools and churches in the Philippines.